That few weeks before the new year. Those few weeks when I am frantically cramming in all the films I missed for one reason or another, sometimes I am moving so fast that I don't get a chance to sit down and write a review. Because of this, I opt to do Quick Thoughts. These are mini-reviews of several films I have been watching the passed few weeks. I will write some quick thoughts, and get down to the nitty-gritty of whether or not you should see them or not. You may see several of these, since I trying to wrap up 2016 in film as well as possible. I am watching everything I can possibly get my grubby mitts on right now, anything I missed in the theater that I thought would be significant. There are some major films that will get my regular, drawn-out review, like "Rogue One: A Star Wars Story," which I will see and review tomorrow. For right now, enjoy what's below. When I describe this movie to you, you won't believe your eyes. The opening of this film finds Paul Dano's Hank attempting suicide after he is trapped on an island with seemingly no escape. Just as he's about to die, a body washes up to the shore. He tries to resuscitate it, but the corpse bemuses him with its incessant flatulence. As the tide begins to wash the corpse away, Hank watches as its farts propel itself around on the water. I know what you're thinking, this can't be real. I rewatched the opening a couple of times, just be sure I could believe what I was seeing. 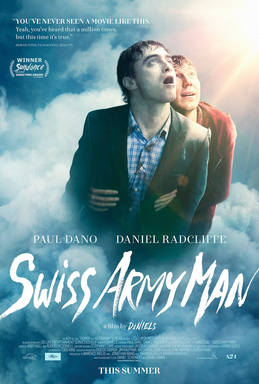 Hank discovers that the body (played by Daniel Radcliffe) can be manipulated like a Swiss Army knife. He is able to do all sorts of things with the body and a strange relationship develops between the two. Paul Dano and Daniel Radcliffe are all acting their asses off here. What ensues is a very strange, yet very confident and funny motion picture. It just goes to show that original filmmaking can still happen in 2016 and that no matter how weird an idea is, if your execution is purposeful, you can make a good (even great) movie. One of the greatest mysteries in Hollywood to me is what happened to Eddie Murphy. Why does he not seem himself anymore? Why is he not making good movies like "Beverly Hills Cop" or "Coming to America" anymore? It seems the dream that was once Eddie Murphy has died and whatever it is that exists now is the shell of a man he used to be. 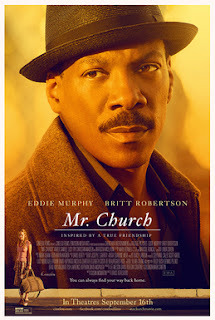 Sadly, "Mr. Church" doesn't change that. Eddie Murphy plays a man named Henry Church. He is a personal chef who enters the life of Marie (Natascha McElone) and her daughter Charlie (Britt Robinson). Church was hired by Marie's ex-lover to watch over Marie as she has cancer and only has six months to live, she eventually lives another six years and Church becomes a unofficial member of the family. We are never shown this through the film, we are told. The narration goes overboard and ruins the narrative of the film. The rest of the film is a massive cliche, and a huge collection of nuanced conveniences instead of genuine storytelling. Murphy himself? He doesn't come off like he's even trying, which is just sad all around. Imagine you wrote the next, big-deal, top-knotch spy book. Imagine you took it to publisher after publisher all reaching towards disappointment. Then, out of the blue, your book is published. With a twist, instead of being sold as fiction, your spy book is sold as non-fiction. That is the basis for this new Netflix original. 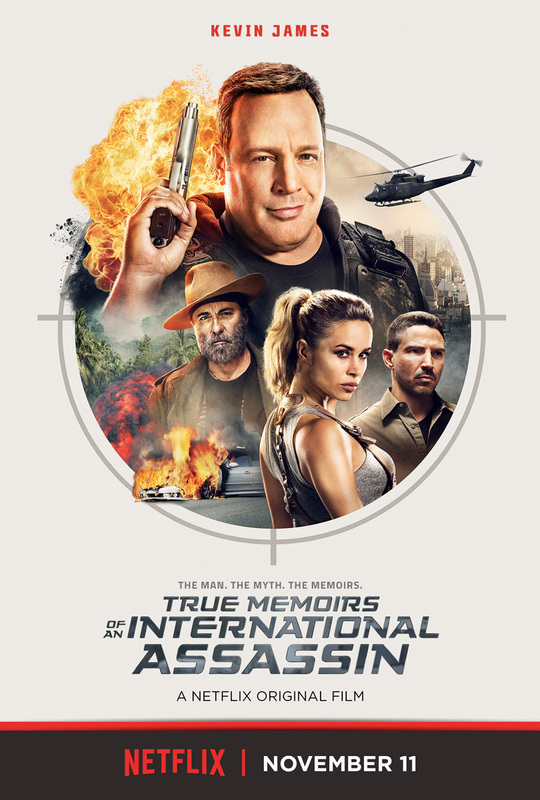 Kevin James is an author who has written an awesome piece of spy fiction, a piece that sadly no one wants. Suddenly, an online publishing community picks up his book out of nowhere and things seem to finally be going his way. Except the book is being sold as a memoir, paintking James' average Joe Schmoe as an international killer! So of course, he gets roped into an international plot, as everyone thinks he's an assassin. It would be a fun premise for a comedy and Kevin James certainly comes to the table ready to play. Andy Garcia, Rob Riggle and Kim Coates do a good job co-starring. The film itself is oddly one-note. With the cast at play, barely any of the film is funny. It also gets a little out-of-hand with its double-crosses and the film begins to feel long. There are some strong performances and little energy. Some memorable moments but not much else. Did you ever see "Best In Show" or "A Mighty Wind?" Well this is another mockumentary comedy brought to you by the team behind those films. 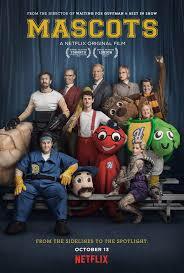 It stars a lot of the same actors and instead of focusing on a dog show or the return of a popular band, "Mascots" is about Mascots. We follow a group of mascots from different schools competing in a mascot dancing competition. What "Best In Show" and "A Mighty Wind" had in spades was energy throughout, by the time the third or fourth mascot person was introduced, I was bored. This is not as nearly as funny as "Best In Show" and "A Mighty Wind" were. Its a boring sludge of a movie, completely hard to get through and a hard one to remember after watching.